And just like that, social networking is no more. The sites formerly known as social networks are pivoting to something else. It was great while it lasted, but social networking is going away. The idea was that you could sign up for a social network like Facebook, Twitter, LinkedIn, Google+, YouTube, Pinterest, Instagram, Tumblr, Flickr or Reddit and connect with old friends and acquaintances, make new ones or even interact with strangers about your life. Except that Twitter was really a "micro-blogging" site, LinkedIn was about finding a job, Pinterest was a pinboard site, Instagram and Flickr were photo-sharing sites, Tumblr was a social-blogging platform, Reddit was a social bookmarking site and who knows what Google+ ever was? Let's face it: Facebook was the only true major social network -- the only company that was the subject of a movie called The Social Network. But I'm not talking about the site, but the behavior. Social networking used to dominate all of those platforms. 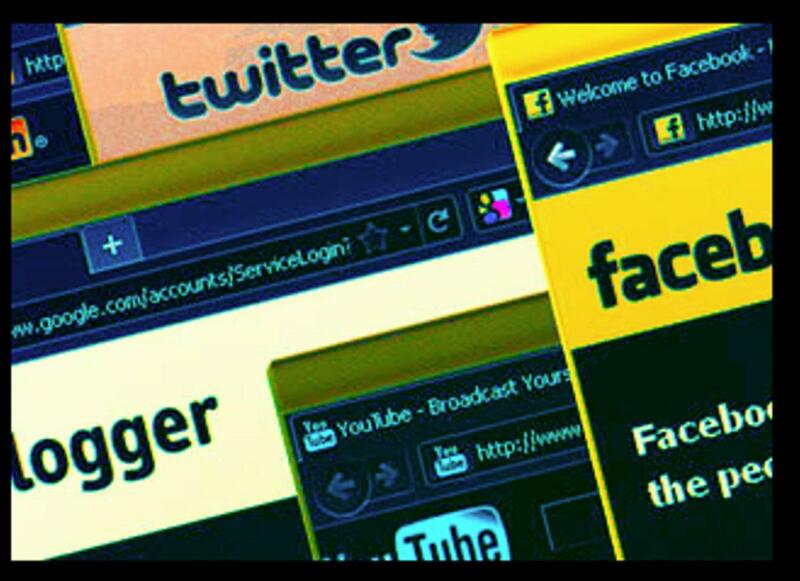 And the social networking idea existed on all of those sites: conceived broadly, social networking sites were places for people to connect with other people and share their ideas, dreams, opinions, gossip and cat photos. A few years ago, social networking was the center of the known universe. "Social" served as linguistic pixie dust that magically transformed any boring old thing into something relevant. Call me Debbie Downer, but I'm here to tell you that those days are over. What's happening is that social networking is being replaced or supplanted by three things. The first is messaging. Those darn millennials we're always hearing about increasingly reject social networking on sites like Facebook in favor of messaging via apps like Snapchat. Unlike social networking, messaging is private, temporary and immediate. More to the point, messaging normally doesn't go out to one's broader "social network." Messaging content tends to be targeted to one or a few individuals, with the majority of one's "social network" left out on purpose. Using a messaging app feels like "sending" something, not "posting" something. The second is the general world of online distractions, including YouTube videos, games, articles, podcasts and more. And the third is social media. Confusion about the difference between social networking and social media is why most people haven't noticed the decline of social networking. People don't stop to think about the difference. Social networking is personal content. Social media is professional content. The sharing of social media -- professionally produced videos, articles, podcasts and photos -- is gradually replacing the sharing of personal content about one's life. For example, as you read my column, this article is being shared on Facebook, Twitter, Google+ and other so-called "social networking" sites. But that isn't social networking; it's social media. Micro-blogging, micro-schmogging. No matter what you call it, Twitter is included in every roundup, comparison or article about social networking. It's universally included in the "social network" category. That's why it's telling that Twitter last week reportedly recategorized itself in Apple's App Store. The company removed its app from the "social networking" category and put it into the "news" category. The move transformed Twitter from the No. 5 social networking app in the App Store to the No. 1 news app. The move also redefines Twitter: It's no longer a place where people connect with other people to talk about their lives; it's now a place where people get news. Twitter is telling us that Twitter is no longer about social networking. Twitter is now about social media. And Twitter probably wouldn't have made the move if the social networking category was burning with relevance. Facebook remains on top of the App Store "social networking" charts. But if you look at the company's actions and trends in recent years, you can see how it's de-emphasizing social networking. Let's start with acquisitions. In the past two years, Facebook has bought a messaging alternative to social networking (WhatsApp), a virtual reality company (Oculus VR), a drone company (Ascenta), a fitness-tracking app (Moves), a couple of augmented reality companies (Surreal Vision and Pebbles), and other companies that have little to do with good old-fashioned social networking. Facebook even unveiled a 360-degree video camera rig that has 17 cameras. Nobody's going to use that to post status updates. What's most interesting about this initiative is that it's designed to counter the fact that, according to The Wall Street Journal, there is "anxiety within Facebook over users’ increasingly passive behavior on the social network. Many users check Facebook daily or even multiple times a day, but fewer are sharing photos, videos and status updates about their own lives." In other words, fewer people are doing social networking. Meanwhile -- in addition to messaging, fitness-tracking and virtual and augmented reality -- Facebook is driving innovation in chatbots, artificial intelligence, drones, satellites, e-commerce, gaming and more. Facebook is mostly concerned with keeping eyeballs glued to Facebook, and encouraging photo and video posts is one way to do that. But Facebook is also trying to remain sticky through the cultivation of publishers and content creators -- initiatives like Facebook's Instant Articles. You'll note that even as personal posts decline on Facebook, posts by professional content creators are way, way up. Talking about one's own life in a status update is "social networking." Posting or sharing an article or professionally created video is not social networking. Facebook's powerful publishing initiatives add up to a pivot for the company, transforming it from a site that's primarily about social networking to one that's mostly about social media sharing. From a business perspective, Facebook shouldn't care. Facebook's goal isn't social networking, but to promote engagement of any kind to keep the eyeballs and deliver advertising. As Facebook drives all these non-social-networking initiatives, it actively encourages the decline of social networking simply by gobbling up a lot more of its users' online time with other diversions, leaving the public with less time to engage in social networking. Everything is changing all the time. But what hasn't changed is that we're still living in an attention economy. Attention is still the most valuable resource. Companies of all kinds are in a bloody, all-out war to figure out how to get more of your attention. As a result, online sites of all kinds are working tirelessly to figure out how to become more attention-grabbing. Companies can throw massive development resources at making bots and games and other computerized content more attention-grabbing. Content creators can and do evolve to make articles, videos, photos and podcasts more distracting and attention-grabbing. But your family and friends on Facebook aren't getting any better at making their status updates more attention-grabbing. And so social networking is being outrun by a universe of professional attention-grabbers. The attention economy is a Darwinian, survival-of-the-fittest contest, and your Aunt Mildred with her cat photos and Uncle Fester with his political rants just can't keep up. Social networking still exists, but companies out to monetize social networking are reaching the limits of news feed algorithm tweaks that can make social networking attention-grabbing. Now the websites formerly known as "social networks" are developing and exploring and evolving attention-grabbing activities that are not social networking. This process will continue until hardly anyone is doing social networking anymore. So here's one last status update for social networking itself: Social networking is over.